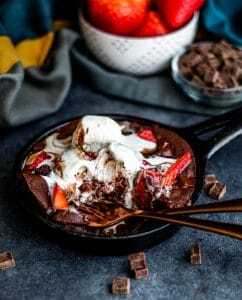 What Do You Need To Make A Skillet Brownie? 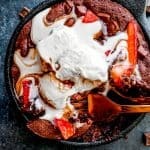 How Do I Make A Skillet Brownie? Exactly like a regular brownie, just a mini version! 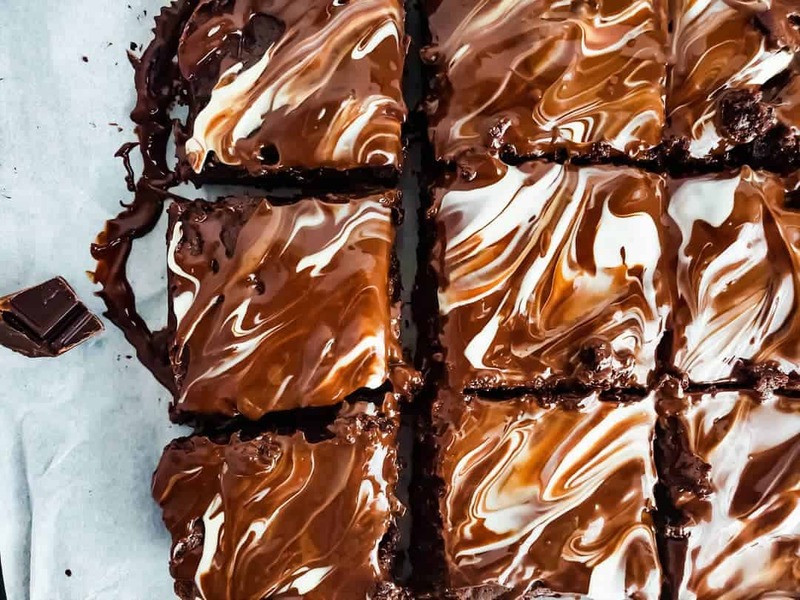 First, you will want to make your skillet brownie batter. To do this, start by combining your sugar and melted butter in a mixing bowl. Whisk together for about a minute. Personally, I just like using a whisk for this recipe, but you could also use a electric hand or stand mixer instead. The batter amount is just so small I don’t like having to wash my big mixer, but do whichever method you prefer! Second, add in the vanilla extract and egg to the same bowl and whisk for another minute. Next, combine the remaining ingredients to the bowl and gently stir in until just combined. Finally, add the batter into the iron skillet and bake on the center rack at 350 degrees for 20 minutes. You will know it is finished when a toothpick comes out mostly clean. 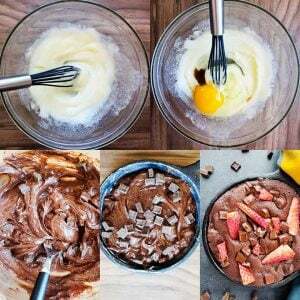 Tip: Make sure to not over-stir the batter when you add in the dry ingredients. This will help the brownies get a nice fudgey texture. Of course you could add anything from caramel, cookies and cream ice cream, sliced banana or whatever you have. 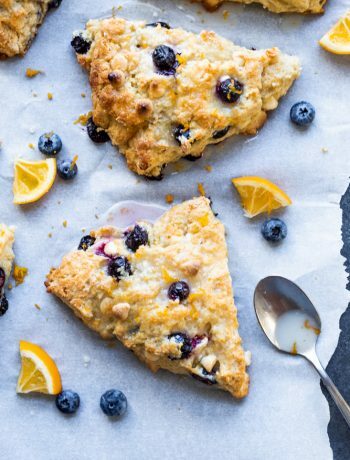 This recipe can be customized to your liking and preference, so let your creativity fly! If you find some awesome combos I would love to hear about them in the comment section. Can I Make This Recipe Bigger? ABSOLUTELY! A very common size iron skillet in everyone’s kitchen cabinet is the 10 or 12 inch size. If you do not have a mini skillet and instead would just like to use what you have I completely understand. Luckily, it is very simple to convert this recipe to accommodate a larger skillet. Plus, more brownie so that is always a win. Simply double all of the ingredients of the recipe and follow the exact same prep steps. Also, keep the same baking temperature; but extend the cook time. I would start with baking for 30 minutes and checking it and adding an additional 5 minutes if needed. It is finished baking when a toothpick comes out mostly clean, so just go by that! 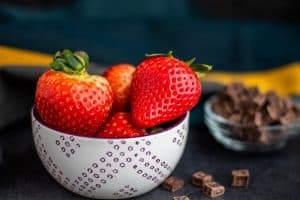 Check Out These Other Scrumptious Desserts! 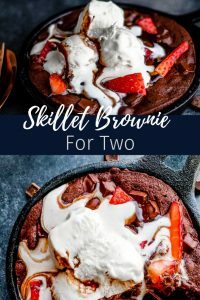 This Skillet Brownie for Two is the perfect indulgent treat for a date-night in or Valentine's Day. Top with your favorite toppings for the perfect finish! Preheat oven to 350 degrees. In a medium sized bowl combine melted butter and sugar and whisk for 1 minute. Next, add in the vanilla extract and egg and whisk for another 1-2 minutes. I used a hand whisk, but you could also use and electric mixer. Add in remaining ingredients and stir until just combined. Do not over stir the batter, this will help give the brownie a fudgey texture. Once combined add to a buttered 5-6 inch iron skillet, top with extra chocolate chips if desired. Bake on the center rack for 20 minutes or until a toothpick comes out mostly clean. Serve warm and top with optional toppings if desired. Enjoy! So divine! And your pictures are just lovely! I loved this. So chocolaty and flavorful with just the right amount of sweetness. Please don’t tell anyone I ate it all myself. I had to! 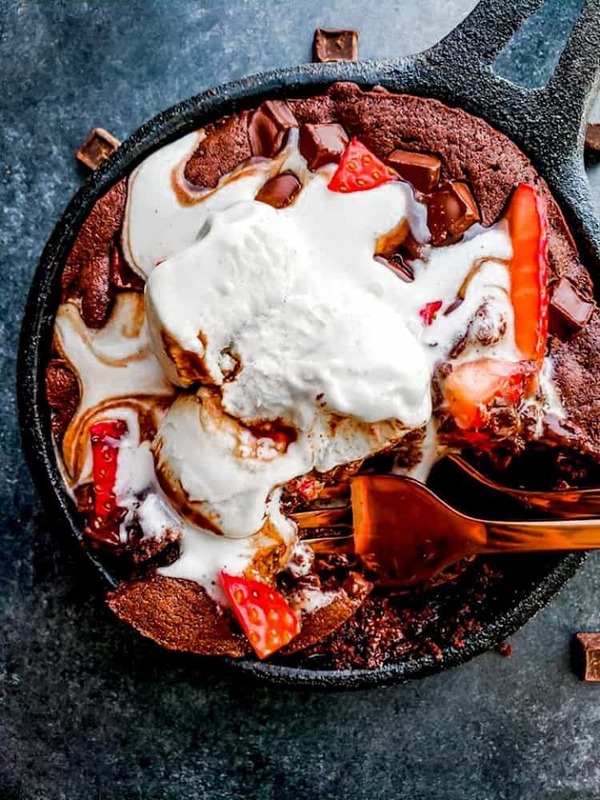 What a great looking brownie and in a skillet a huge decadent bonus dessert nice job! Haha it is very easy to eat the entire thing in one go! This is such a mouth watering recipe. Would love to try it immediately. OMG… this looks amazing! This will be perfect for Valentines Day! Thanks! It is so wonderful! 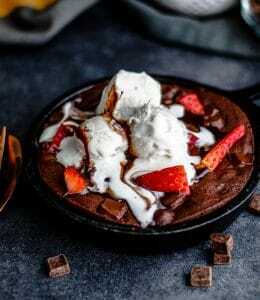 Wow, So yummy skillet brownie recipe. Really a mouth watering one. Can’t wait to try this at home. Thanks for the sharing such a yummy recipe. It is so yummy! Hope you love it!